NAYOSOUL', born Odunayo Ayorinde, is a Nigerian Soul/Jazz singer, Vocalist and songwriter. Born in Lagos, Nigeria, Nayosoul she listened to her grandmother and sisters sing in the choir and later explained that this may have inspired her interest in music. When she was 17 or 18 years old, Naysoul started writing lyrics for music touching on any topic that came to mind, especially Christian music. Her primary singing experience came from "singing in the shower". She was groomed in the Church choir and started taking 'solos' at the age of 14 where she one day discovered her love for soul/jazz music. NayoSouls Acoustic Session is a Project she has embarked on Just to appreciate her fans, and to also showcase her talent. Its a project that shows her doing acoustic versions of her songs and covers of other songs. Episode Two shows her performing an Acoustic version of a new song "VERONICA" which is yet to released. Watch and Enjoy this Great Singer. 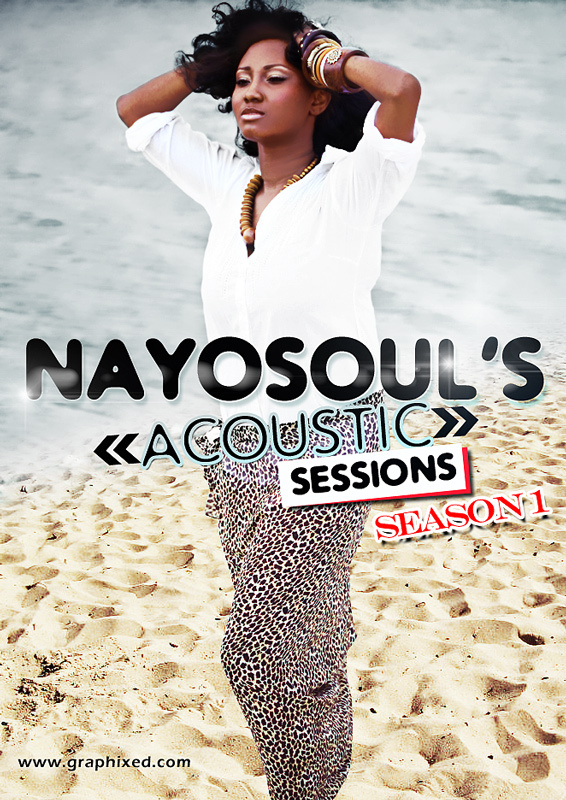 "Nayosoul delivers yet another lovely song "Veronica" in this episode of her Acoustic Sessions. Watch and enjoy. NayoSoul Speaks: Making Good music has always been my hobby and I am sure my fans appreciate it, because its from them I draw my energy.Let Us Go".